I would love to introduce you to the Noun Student Login page. For those who are not aware, the student Login Page is specifically created for NOUN course registration and student login portal. Take note that this portal is available to both new and returning students of the National Open University of Nigeria. Please take note that you can only access this portal at https://www.nouonline.net/gstud_login.php. 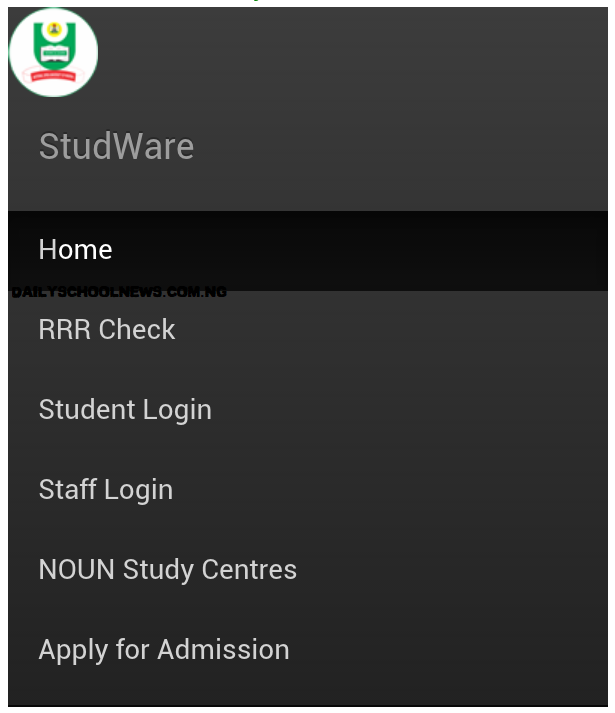 If this is your first time of using StudWare, please take note that StudWare is a students’ information system which is specifically developed and supported by the Directorate of Management and Information System of the National Open University of Nigeria. The first thing you’ll discover when you open the Studware portal is that it contains the University Logo in on its Homepage (located at the top) where you can see the Login and Registration buttons. The Studware portal is very useful to students in the Open Distance Learning (ODL) institution. For you to be able to register for NOUN, you must purchase the NOUN registration form at any of the NOUN approved centers only (go there physically before making payments, do not send money to anyone online). You will be given a maltriculation number which will enable you to register and login to the NOUN studware portal. Registration does not take time, it’s actually simple and you can do it yourself. Use this guide which will show you how to register for NOUN programme at an approved center or from the comfort of your home. Matric Number: Enter your Matriculation Number given to you at your center. Other Names: Do you have a third name? if you have a third name, then input the names. Email: Enter your Email Address correctly in the box provided. Use a correct and working Email Address. Mobile Number: Enter your mobile phone number in this box. Password: Choose a password you can always remember, but is hard for others to guess. Reset: Did you encounter any error while typing in your data, If yes, simply click reset to start again. 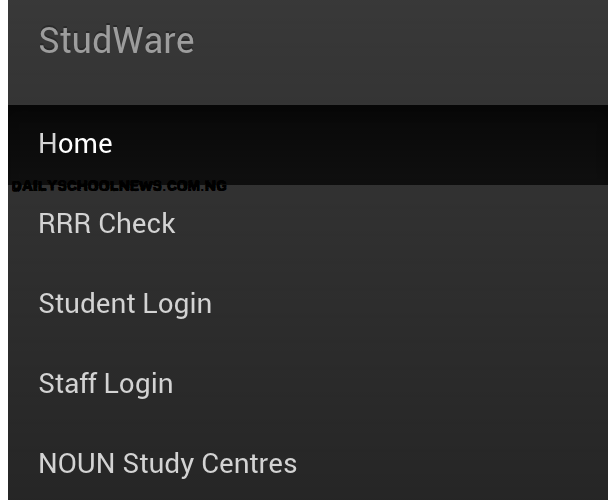 • To log in to NOUN studware portal is very easy. Simply visit https://www.nouonline.net/gstud_login.php on your browser. • To enter your personalized dashboard, type in your Matric Number in the box provided. • Finally, click on the “Submit” button. However, the next five weeks have been reserved for the semester and course registrations only. After this, the management has scheduled a 7 week period for examination registration and submission of TMAs. Finally, the NOUN examinations will take place in June. Another important note to all NOUN students here is that NOUMIS prepares comprehensive reports which are to be presented by Deans to the Senate and subsequently captures the approved results and make them available to various end-users in appropriate formats. Through this method, it’s obvious that NOUMIS will be providing 100% technical support for the determination of qualified graduating students and preparation of transcripts and testimonials. And to those who are not aware, NOUMIS proudly manages the NOUN students’ information system, and our goal is to ensure that there are stability, reliability, and consistency!